Vibrant copper gold (spun honey) with amber light with moderate beading. Some nose prickle; nose drying. 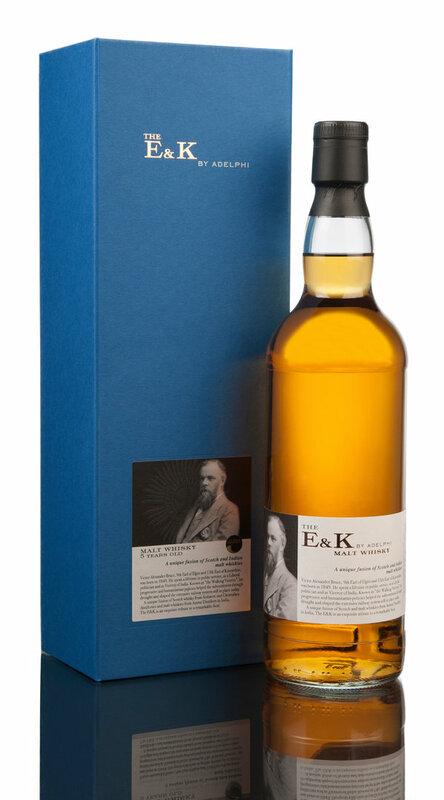 Very ripe tropical fruits to the fore (mango, papaya, pineapple) on a dry wood base (tea chest, faded sandalwood). Scents reminiscent of India, until you add water, when it becomes more Speyside-like: Sweet, sooty smoke and moorland scents, fused with spices, coconut, milk chocolate and lingering hessian. At natural strength, the taste is honey-sweet and surprisingly rich. Fruit salad with a chilli-powder finish; Arbroath Smokies combine well with Highland Toffee and dark chocolate. In the finish, distant peat fires, bitter chocolate, exotic spices and dusty fruit.